Choosing the perfect Olympic weight bench can be a challenge for even the most advanced bodybuilder. However, this is only true if you don’t know what exactly you should be looking for when it comes to weight training equipment. As many people already know, the market is flooded with different types, styles and shapes of weight training equipment, all of which focus on improving an athlete’s endurance and strength. The same is true of Olympic weight benches, and this can make purchasing a lot more complicated than it needs to be. The perfect home gym set up will contain a fantastic weight bench. For example, the Competitor Olympic Bench provides everything an athlete will need to develop a fuller chest, stronger shoulders and broader legs. The bench is adjustable to allow any individual to meet their fitness goals, for example, when someone inclines with the bench, they will be able to focus the training on their upper chest. However, when someone declines on the Competitor Olympic bench, they will focus more on growing muscles in the lower chest area. This bench offers far more than simply a lower body workout. 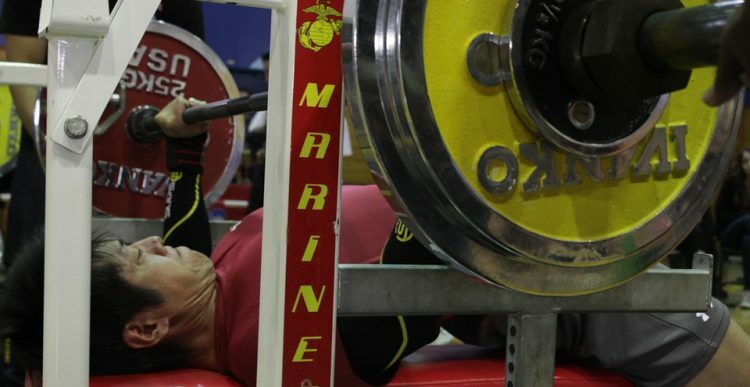 A great Olympic bench should allow for various adjustments to be made so that it can be used in different positions, such as within incline, decline and flat bench positions. The Gold’s Gym XRS 20 Olympic Workout Bench, for example, also has arm curl attachments, and leg separation stations that allows individuals to perform various exercises. After all, working out in the same position for several hours is not only boring, but it also only allows an athlete to focus on one specific area on his body. This means that one muscle group gets attention whereas others become ignored. There is nothing more important when searching for an Olympic weight bench than finding one that is completely stable and capable of providing you with all of the necessary support that you need during a workout. Choose equipment that has been designed for support and stability, so that you can rest assured that you have the security that you need during heavy training exercises. A good, durable bench should allow you to perform various forms of workout and extensions with safety and confidence. Typically, it’s a good idea to examine the frame and make sure that it has been designed out of high quality steel before you consider purchasing your Olympic weight bench. Another aspect to think about when purchasing your Olympic Weight bench is the limits that it has. Each bench will have its own set of weight limits, and you need to make sure that you’re not going to be lifting weights that amount to more than your bench can handle. After all, the main issue in this workout will be safety, so you will need to be sure that your bench can handle just as much weight as you can. Sometimes, a multipurpose bench will be the best option, but it’s a good idea to look around at different options before you make a final decision.